It’s frustrating that it costs you well over £10 to step out your front door in London. Hashtag 2018 I suppose. (Solarpunk) attempts to foster a socio-cultural environment which emphasises individual autonomy, consent, unity-in-diversity, with the free egalitarian distribution of power. It creates a multitude of spaces for indigenous sovereignties, reproductive justice, and radical queer politics. Of course with these principles comes polyphony, one cannot speak for other solarpunks, only be in dialogue and occasional chorus with them. The metaphor of polyphony has come up a lot recently. Its a key theme in The Mushroom at the End of the World by Anna Tsing and also frequently used by another anthropologist Tim Ingold (Warning I’m a major fanboy). I’ve become more and more mindful of the need for less oppositional life ways in the last few months, and I think this is my refrain for the year. This 2015 talk by Ingold on ‘The Correspondence of Lives’ is worth watching in full. 1. Is the culture all wrong to start blogging again? Is it too experimental or contingent a form for career to survive intact? 2. Do I have a coherent enough perspective to bring to regular blogging above anger and reaction? 1. No. The culture is not wrong at all. 2. Yes everyone has interests. 3. WordPress obviously. I think the resistance others feel to (re)starting a blog during the encouraging conversations I’ve been having is around fear of the Instant Rage Machine – Twitter. But things move slower in the blogosphere. True, you might say something that stir up the hornets nest and you get linked to and chewed out in 240chars. But really the only appropriate place for any criticism to come from and be responded to is in the long form. From/to other blog posts – healthy discussion. Cryptocurrency markets collapsed. I wonder idly how many of the people who were cheering along will be doing the same during the upcoming currency crisis expected during 2018. One of the Royals got a much better hair cut. A newspaper I stopped reading ages ago has rebranded with lots of strange lines and UX choices. The sexual lives of public figures is still being used as an attempt at control. Maybe they have *affects french accent* an arrangement , they are both adults it’s none of our business. Fed up with drug companies, hospitals in the USA have decided to start their own – this is extremely good. I have been rushed off my feet this week which is a weird thing to say for someone without a full time job. I’ve lots of calls with various individuals around the world some at odd hours just for 30mins of someones time: but that is what “Real” social networking is all about I suppose. Every single person I have spoken to however has been so nice and kind. This week I spent nearly three days helping an organisation hire a new technical person. It’s one of their first major hires. I find it gratifying to be able to step people through unfamiliar territory and offer help and support when people are unsure (the point person had never run an interview process before). Though at the same time always being mindful that it’s not my decision – it’s theirs. I also had an expert interview for a strategy company on HR Tech and emerging trends in the sector. Which involved me going on a long rant about the surveillance workplace, data passporting, and the realities and dangers of relying too heavily on APIS linking software purchased to meet immediate business needs in startups. I also had an absolutely amazing long conversation with Ruth from Furtherfield.org in Carnaby Street. I also submitted at the last minute talk about Solarpunk to a major conference in Berlin – see the quote above. I finished both The Hidden Half of Nature and A Monk’s Guide to a Clean House and Mind this week. I have now read all of David Montgomery’s books with the completion of this one. And quite frankly recommend all of them. The Hidden Half of Nature is also co-authored by his wife Anne Biklé, a biologist and environmental planner. Its a fascinating romp tough soil science, the history of microbiological studies and then smoothly segues in to gut bacteria and the human microbiome and takes a brief look at the discoveries this century could possibly bring now that the ‘Kill them all’ knee jerk reaction of antibiotic use is being reassessed. The sections on Crohn’s Disease and inflammation was of great interest to me (obviously). If you have read and enjoyed I Contain Multitudes by Ed Yong then this is a must read as its a gateway book to soil science. 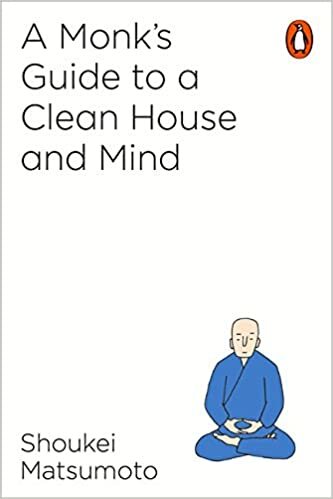 A Monk’s Guide to a Clean House and Mind is a delightful short book (I read it over two evenings) full of pithy zen sayings and practical advice. I’ve taken two things away from the book. The first i’ve instituted a ‘conscious’ face washing ritual every morning (even if I immediately get in the shower) and i’m already finding the mental space that it opens up is providing returns. The other is that I looked up in my flat.. and we really need to dust/clean the light fixtures. I’ve started reading Altered Carbon (again) perhaps for the 5th? time in my life. I’d like to get though it before the TV show starts on Netflix in Febuary. I’m also finishing up a book called The Margate Tales which has been half read on my night stand now for ages. It’s a well researched collection that attempts to cover all the references to Margate in print pre-railway age. There are some fantastic quotes! A friend pressed Star Ark: A Living, Self-Sustaining Spaceship by Rachel Armstrong into my hands last night – so i think that’ll be up next. But Hyperion by Dan Simmons also arrived in my life second hand for 50p this week. We’ll see. Not much time for new tunes this week. But we’ve been listening to an old household favourite, it hasn’t left the turntable in a week.